I used to put tomatoes in my guacamole, being the clueless New Yorker that I am, but the best piece of advice any Californian has ever given me is this: don’t put tomatoes in your guac. And god love ’em, they’re right. Tomatoes are great — but not in guac. They don’t add anything other than filler. When you eat guac, what you want is creamy avocado, fresh lime, savoury onion, salt, and maybe a little cilantro, if that’s your thing. 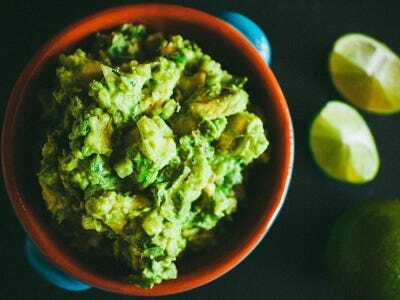 I’m never putting tomatoes in my guacamole and neither should you. It’s kind of a game changer, I have to say. 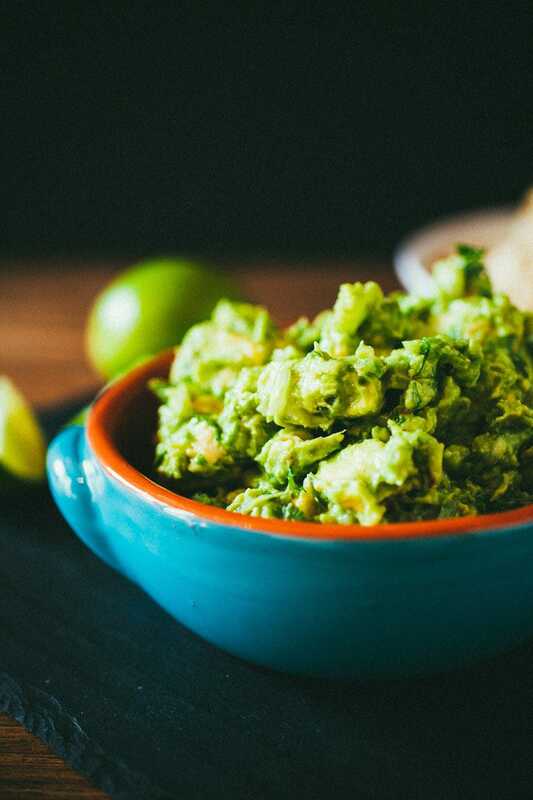 Less is more, especially when it comes to guac. Don’t knock it ’til you try it, kids. 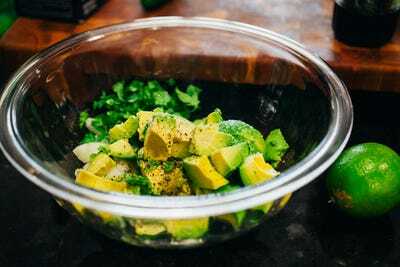 This is the best damn guacamole that you’ll ever try, and hey, save that dollar or two and get yourself something nice because you aren’t buying tomatoes. 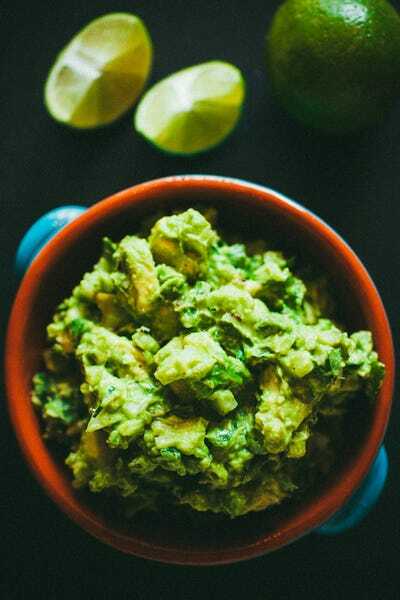 Another great thing about this guac? It doesn’t take much effort. You don’t need a food processor or a blender or anything. Just a bowl, a knife, a fork and your ingredients. Make it while you’re camping, or make it in front of all of your friends at your next get together. 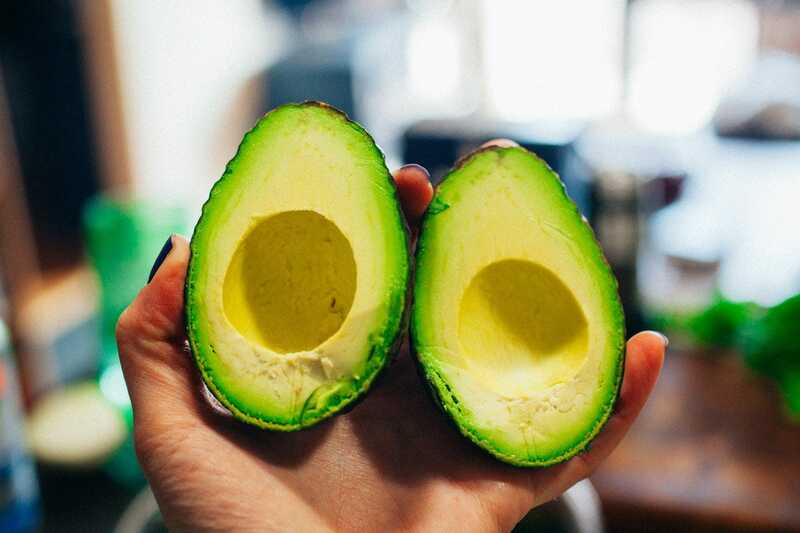 Remove the pits from your halved avocados and slice them lengthwise with a knife while still in the peel, then scoop out your avocados into a large bowl. Add in the finely chopped onion, finely minced garlic and peppers, and roughly chopped cilantro. 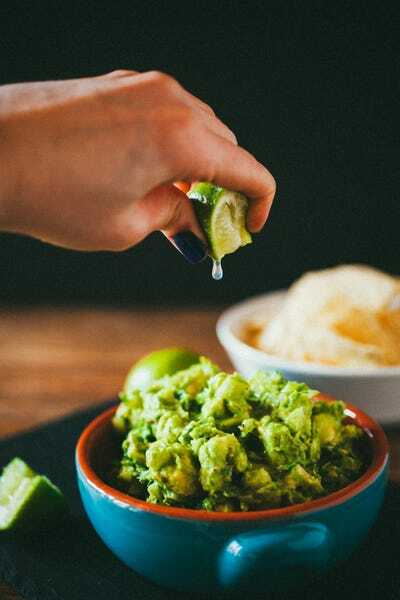 Using a fork, mash the avocado and combine everything together, being careful not to mash the avocado too much — you want there to still be chunks and texture. 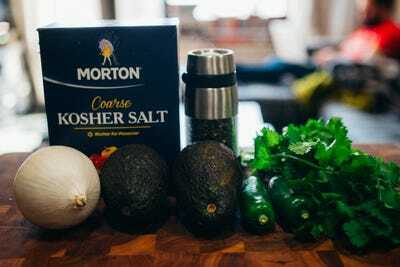 Add in your lime juice, salt, and pepper. Toss gently with a spoon to combine. Taste and adjust seasonings as preferred. Serve with tortilla chips, on tacos, with eggs, or whatever else you can come up with. This will keep well in the refrigerator if you give it an extra squeeze of lime, then wrap it in plastic wrap with the plastic touching the guacamole (you don’t want it to come into contact with the air, which will cause it to brown) for up to 24 hours (though I wouldn’t recommend making it ahead of time — it is best fresh).